This course in English will immerse students and researchers in an intense collaborative work, stimulating creative thinking for the development of an “out-of-the-box” project. 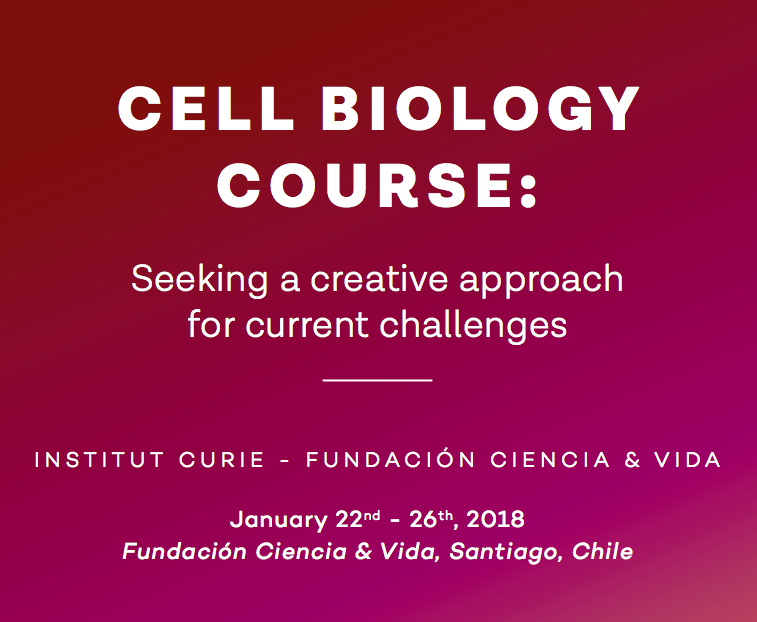 This will be a full week of hard work and fruitful discussion with peers that will encourage the participants to question their pre-established ideas about cell biology. Eight researchers from France and eight researchers from Chile will be intensely committed to train and guide the students, encouraging them to think in an interdisciplinary and ambitious way. We seek to foster a friendly and collaborative environment that will not only provide top-level training for students, but also promote mutual learning and networking opportunities for all participants.